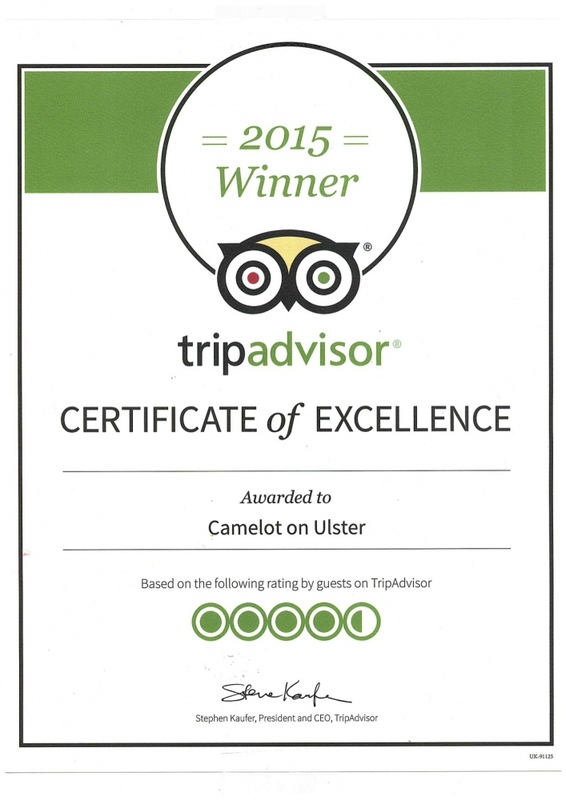 Hamilton-based motel Camelot on Ulster has received the TripAdvisor Certificate of Excellence award for 2015. This award celebrates excellence in hospitality and is only given out to places, like Camelot on Ulster, that steadily achieve great reviews on TripAdvisor. Certificate of Excellence winners include the best accommodations, eateries and attractions located all over the world which have constantly given a superior customer experience. To choose the Certificate of Excellence winners, TripAdvisor uses a special algorithm to determine the winners that takes into account the quality, quantity and recency of reviews and opinions submitted by travellers on TripAdvisor over a 12-month period as well as business’s tenure and ranking on the Popularity Index on the site. "TripAdvisor is pleased to honour exceptional hospitality businesses that have received consistent praise and recognition by travellers on the site,” said Marc Charron, President, TripAdvisor for Business. Camelot on Ulster provides modern, clean and spacious rooms that are affordable and in close proximity to the Hamilton CBD. Camelot on Ulster is a popular destination for corporate travellers. The large size of the rooms make for an outstanding place for post-meeting catch ups and evaluations as well as pre-meeting planning.